Earlier this month, Chinese smartphone manufacturer Vivo started sending out press invites for a launch event scheduled for May 29. While the invite didn’t explicitly mention which device would be launched, the large X with a fingerprint in the center suggested it would be the Vivo X21 UD, the first phone with an under-display fingerprint scanner to come to India. 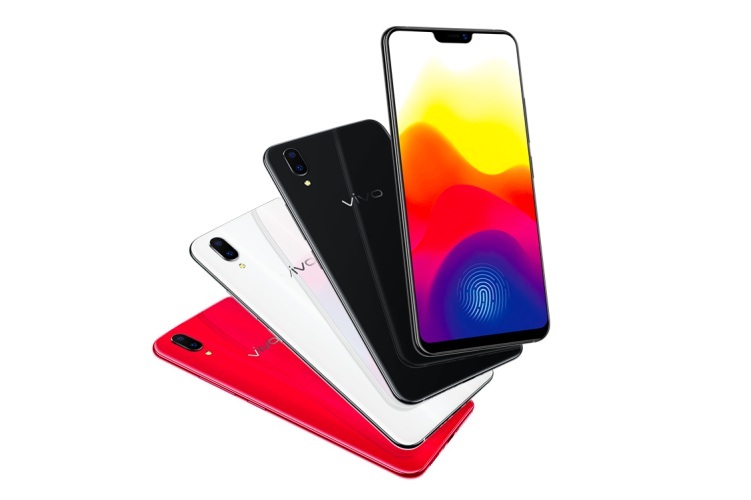 Just a few days ahead of the launch, the company has now officially opened pre-bookings for the Vivo X21 UD on its online store. Interested buyers can now book the phone for just Rs 2,000 and avail attractive pre-booking offers, including a Rs 1,000 gift voucher from Ferns n petals, 5 percent cashback on SBI credit cards, no code EMI up to 12 months, and one year device security along with 280 GB additional data from Vodafone. 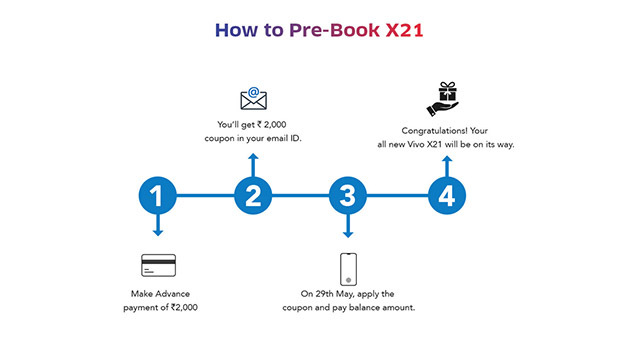 Upon pre-booking the device, customers will get an email with a coupon code to purchase the Vivo X21 UD once it’s launched. On launch day, i.e. May 29, customers will be able to apply the coupon on Vivo’s online store and pay the balance amount to get the device. As of now, the company hasn’t revealed the final price or the availability details. In terms of specifications, the Vivo X21 UD sports a 6.28-inch FHD+ Super AMOLED display with a 19:9 aspect ratio. The smartphone is powered by a Snapdragon 660 SoC coupled with 6GB RAM, and includes 128GB of internal storage. While the highlighting feature of the X21 UD is the in-display fingerprint sensor, it also packs in a decent 12+5MP dual camera setup on the back and a 12MP selfie shooter on the front. The device packs in a respectable 3,200mAh battery with fast-charging support over USB-C. The Vivo X21 UD runs Vivo’s own Funtouch OS 4.0 built on top of Android 8.1 Oreo.